The Metropolitan Police investigate a stalking case that turns into murder…and Detective Santos feels a strange connection to the victim’s girlfriend. Could she be his half-remembered first love, a girl who loved cherry blossoms? Or is she the killer? Then the Detective League investigates a haunted warehouse with a treasure-eating monster. 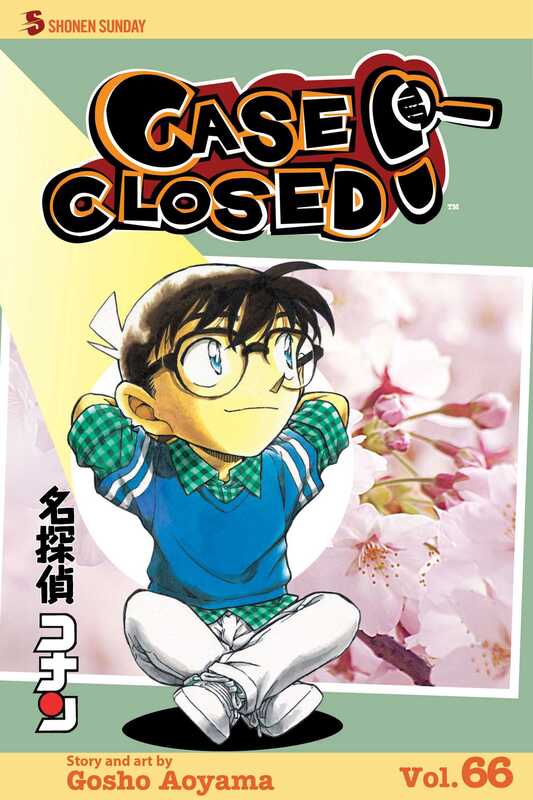 And Harley Hartwell enlists Conan’s help to retrieve his lost lucky charm, only to not-so-luckily stumble upon a crime!